The second day of the workshop (day one here) started with The New Technocracy: Scientific Dissent and New Forms of American Governance (Kelly Moore, Loyola University, United States) what are the political conditions of scientists in the US and what are the reorganisation of epistemology and knowledge. Dissent and political reorganisation are dependent on the forms of science and the role of scientists in a specific political context. STS research focuses on techniques and topics of dissent – what are the ways of protest against nuclear power? What are the forms that health issues are addressed by women? Relationship to governance are under-analysed and lack of larger analysis. The questions: who is available to participate in the project? what are the financial support? where are they coming ideologically, politically, and legally? How do they think about science – e.g. science fundamentalists? What are the forms that science is taking place? Some of it based on “Disrupting Science” book – trying to understand how scientists understand their role in dissent – for example thinking about Cold War Technocracy in the 1950s. In the 80s and 90s, there was weak re-construction of science. The US dependent on civic associationalism, protectionist law for citizens, and rule of law – with roles of universities in the system. But since the 1980s, universities moved back to being fund by tuitions fees in the market and from military or industry, and science deliberation for the citizen is too weak to capture the processes in the US. More importantly, neo-liberalism – no protection of citizens and science is linked to commercialisation. An important framing is “Scientists as entrepreneurs”. 2/3 of R&D is private and create secret knowledge and IPR. Ad hominem attacks replaced engagement with the topic – and this is a risk to scientists. The prestige of science and scientists parallels hostility towards government. Two political shift – dissent is capitalised – Frank Why Johnny Can’t Dissent – and the rule of law is under threat. Laws that are passed without review and some laws are not enforced. Citizens encounter science and technology in everyday life and US citizens are dependent on science and technology for their survival. A risk society in which people need to seek knowledge for everyday action – what is important is not if it something is true but if it works for you. What does it mean to think science and challenges to power? Scientists – alliances with scientists work with people? They are ignorant of their own fields, history, and not politically, numerically, and legally available. On the citizens – citizenship varies widely across the globe, and the notion of the citizen is structured around framing them as a soldier and consumer and require to think about citizenship. We have seen scientists marching to defend science – making science political, let’s go back to Golden years sort of thinking Instead of studying science and society, we are looking at researchers – socio-technical organisers – bridge, brokers. Communication and community building – versed in technical, political, social history. We can see it in universities by researchers who work as community labs, civic sectors, they reorganise science. There is also participation by women and problem of calling what people are doing. Maybe call it of new sociotechnical reorganisation that centre the new brokers. Many of the reorganisation was driven by political movement, and maybe not be the popular movement, but they can have an influence on scientists. Science communication is there in the picture as protectors of science and passing information to the public and having issues with accepting new forms of understanding of science. We also nationalist neoliberalism and shrinking relationships with the world, and that is also for scientists – in the 1960s and 1970s there were lessons drawn from Latin America and elsewhere, but this is now disappearing. Expert Networks and Networks of Expertise: The Epistemic Politics of Argentina’s Pesticide Conflict (Florencia Arancibia, National Scientific and Technical Research Council, Argentina and Scott Frickel, Brown University, United States) in 2009 research shown toxicity of Glyphosate and that there are problems in its regulations in Argentina – this caused shockwave as there is large scale application across the country. This study reached the mass media – Argentina dependent on agro-export, and use GM Soya from the 1990s and there is a long use of Glyphosate for that. The toxicity is evaluated through DL50 methodology which considers the effect of doses that lead to lethal damage and not low and long-term exposure. The study in 2009 was a turning point, and Carrasco (the scientist who carried out the study) was attacked by the state and commercial organisations. He was doing a scientific rebellion by publishing in a newspaper and not in an academic journal, in order to make a point about the lack of public interest in the Argentinian scientific establishment. Looking at expertise from 2001 to 2015, and while at a national level there are no changes in policy, there been impacts in the local level and new identities by scientists (as activists) and the network grown from 12 experts to 58 both in clinical research and scientific research. Also, change in scientific knowledge with increased papers on pesticides effects. 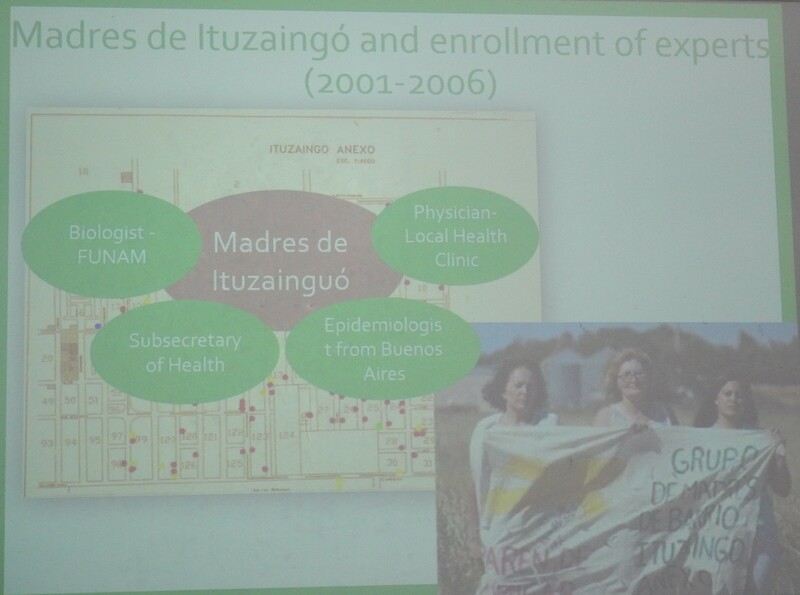 It started in concern in Cordoba City about the increase in local illnesses of children – including a health survey that was done by the community and the study was ignored by the government, so they invited biological and other experts and while some regulations were changed. The campaign evolved into a national campaign in the mid-2000s (2004-2009) “Stop the Spraying” branches. In 2009-2011 we see the creation of “Physicians of Sprayed Villages” (called after a book that described case studies and experiences). Clinical physicians and scientists. We see in the mobilisation of expert a role for early career people – PhD and early researchers. Important to understand mobilisation over a long period of time and need to analyse it as such, and we also see the censorship and oppression by the state and the changes in the experts that are participating. Do We Need a People’s Critique of the Anthropocene? (Frank Uekötter, University of Birmingham, United Kingdom) – how much do we need to care about buzzwords? For 18 years we are talking about the Anthropocene – its aim is to change public opinion about the environment and humans and remained mostly academic (unlike sustainable development in the 1980s and 1990s). There are different debates in geology and related areas – does it matter for our social engagement. 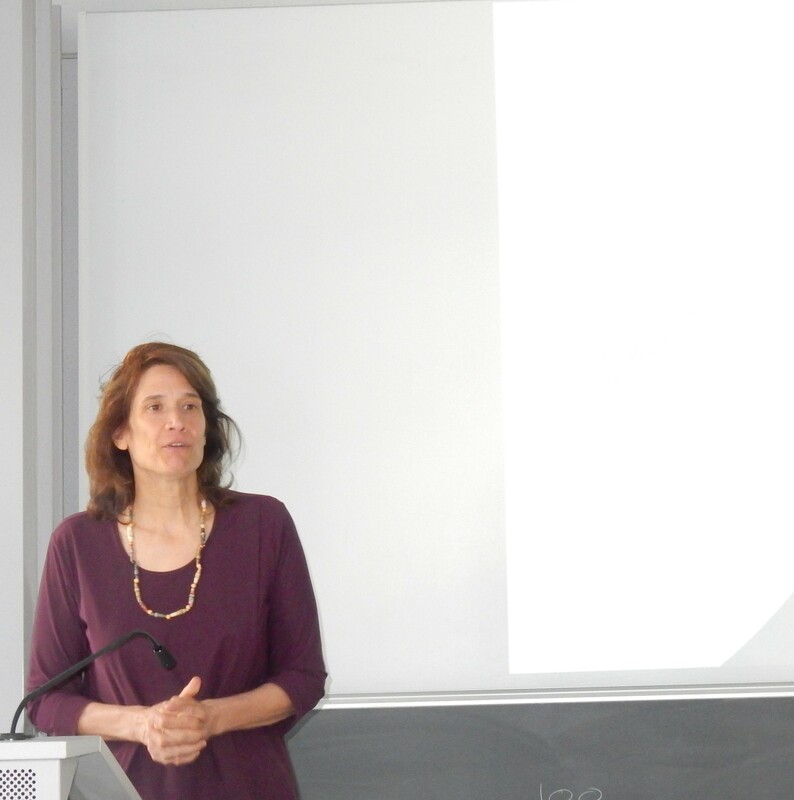 Defending the Anthropocene – raise the profile of environmental issues and brought new people to the discussion; served as a bridge between “the Two Cultures” (the Anthropocene working group got people from the humanities); raised big questions. However, the Anthropocene is a status report, not a guide for action; also a question about who is benefiting – in particular the geoengineers capitalised on it; eco-modernist master-planners – which is a good Anthropocene which are excited about technology, developmental fantasies from the 1960s that increased; Expertise in a self-ratification circuit of setting a single vision of Anthropocene. An example, the London Big Smog of 1952 and it was a way to write history – is that a story about smoke and soot or is it about particulate emissions from stoves so not about coal. It’s also about energy story that is linked to fossil fuels and a distraction from climate change. Maybe we look at it as a problem that was solved and a model campaign to solve the issue. Once you realise that there are so many ways to talk about the smog is that there are fewer ways of reading the event, not more as in anything goes. Back to the “one Anthropocene” it is part of the desperation of the climate change community and it is a top-down approach, and also we need to have a place for a meta-discourse. Environmental problems have a strong moral element about the right behaviour so maybe it is an attempt to move from that. The concept also has strange immunity from critique and there isn’t a place for a critical reflection. Conclusion – we need a people critique and we need a meta-discourse. Also, need to consider is this will be used for policy-makers to use the ecomodernist manifesto and should be prepared for that. Independent? Yes. Expert? Perhaps! Political lessons from NGO activism in the French Nuclear Energy Sector (Sezin Topçu, EHESS, France) we can look at the issue of nuclear activities in France and the need to shift from technical democracy and celebration of it to government of criticism which is about co-opting and silencing debates. Looking at the different instruments of government over 5 decades, including the rise of social science in management of critiques and other tools. Focusing on the participatory aspects of it. Critiques are imbricated and in the nuclear configuration which is technocratic in France, there is a myth that it is always the same concept of nuclear energy. The summary of the development of expertise include the post May 1968 nd pioneer mobilisataion for building counter-expertise which include scientists and also trade unions – counter expertise which formulate the nuclear issue as a social choice, the French anti-nuclear movement was strong from 1975 and it was controlled in strong and soft ways; next the post-Chernobyl when counter-expertise – this created new actions: scientists and citizens working together, and insist on the identity of experts (e.g. not accept “lay experts” as a term), use of Gaiger counters and other instruments. Gradually recognised by institutions. The next configuration – post Rio period – 1995-6 moving from expert activism and having a rise and fall of more invisible dissent, and finally post-Fukushima period and slow renewal of anti-nuclear protest (2013 onward). The first period after the disaster was complete silence but then the development of counter-experts and even the same experts that appeared in the previous periods. In the late 1970s, the mobilisation of scientists was seen as a risk, while post Mitterrand in the 1980s they identified it as a positive aspect that can be used to help accepting state choice and to be independent. In the post-Chernobyl accepting the expertise helped in silencing it. In the third period, the transparency and sharing of information is used to show positive aspects, as well as messages of nuclear energy as green and democratic. Then there are also use of presenting institutions as participative and inclusionary in expertise, and therefore showing that some institutions are open to other voices. For example, the concern about leukemia at Hague region in 1997 – a pluralistic commission in order to study it and they succeeded as a helper for civic society. It is actually a top-down design that only invited NGO experts and not the wider public (e.g. concerned mothers in the region). They put together 500,000 measurements but this type of expertise was not really open in terms of recognising the local knowledge of people in the area. The local and non-institutional experts were supposed to work in their free time and had a disadvantage in comparison to institutional experts. There was lack of epidemiological studies to link cause-effect and from 200 they created a permanent function of monitoring. The precarious functioning of participatory functions, mutated again recently, with the opening of discussion on phasing out nuclear. There were examples of instrumentalisation of the participatory process in order to justify the functions of nuclear energy. Counter-expertise and participatory practices about a resource for collective action, but also for techno-scientific powers and think where they are situated, how sustainable they are, who is mobilising, and what do they serve to can be used for manipulation and move to strategic and dynamic political work by all actors. Expert activism is a strategy. 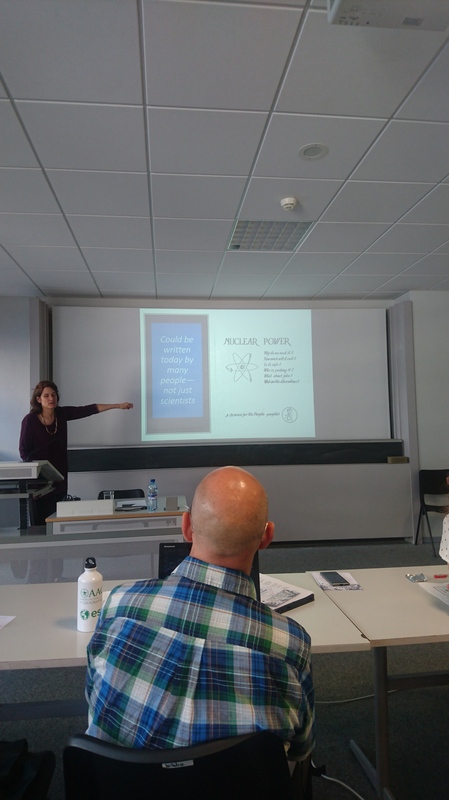 Activism Mobilising Science: Protest in the Uranium Mines in Niger and Namibia (Marta Conde, Universitat Autoònoma de Barcelona, Spain) studying environmental justice cases and the expertise and forms of co-production. Defining it as a co-production of new and alternative knowledge in terms of the dominant discourses in cases of mining communities. She looked at Uranium mining in Africa – Niger and Namibia. Issues of contaminates water, dust, radon, and health. 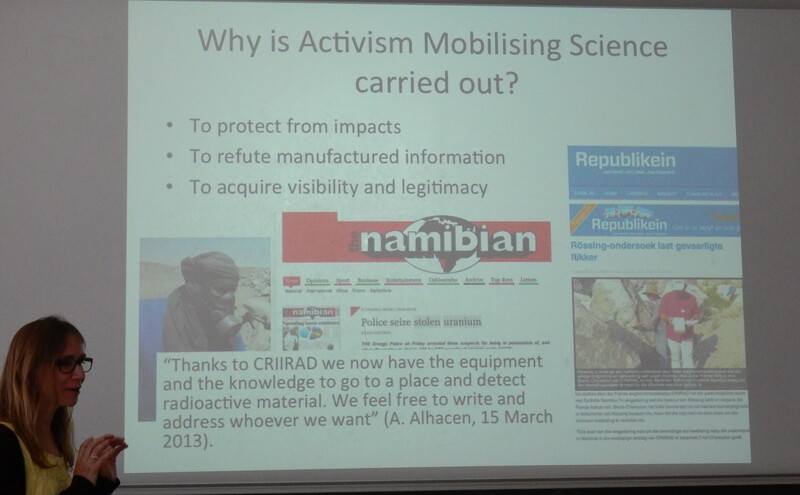 The activism mobilised locally, with knowledge co-productions – in niger Almoustapha Alhacaen and in Namibia Bertchen Kohrs, they did that by contacting external activities – Bruno Chareyron from CRIIRAD to link to the different cases. The EU EJOLT project provided resources to link resources. Activism was done to protect from impacts – and for example the knowledge about radon. It was also useful for refuting information that is coming from official bodies – for example, that scientific threshold is not protecting workers. They also doing this in order to gain visibility and legitimacy. Further work looked at the perspective of the activists/scientists – e.g. Bruno from CRIIRAD who is a nuclear engineer and worked in different sites and countries of uranium extraction. Another one is Robert Moran who work as expert hydrologist who work as a consultant in many cases that are linked to mining. The identified three types of co-production: knowledge co-production – the expert know what to look for and the instrument but lack local knowledge where to look for, e.g. scrap metal in the market that comes from the mine. The second there is co-production of interpretation – what information is key, what results should be used – e.g. knowing that material from the mine is used for construction. The expert may come only at the interpretation stage – a community got data but need help in understanding it. Finally, a co-production of strategies – Robert Moran carried expertise about what would work, how it should be used. There are different forms of co-production and, these are bottom-up processes control locally and they continue to work with the local support and it won’t lead to productive relationships. There is a process of politicisation of knowledge and scientific expertise. There is an issue that there are a lot of dependence on individuals and their effort and focus. 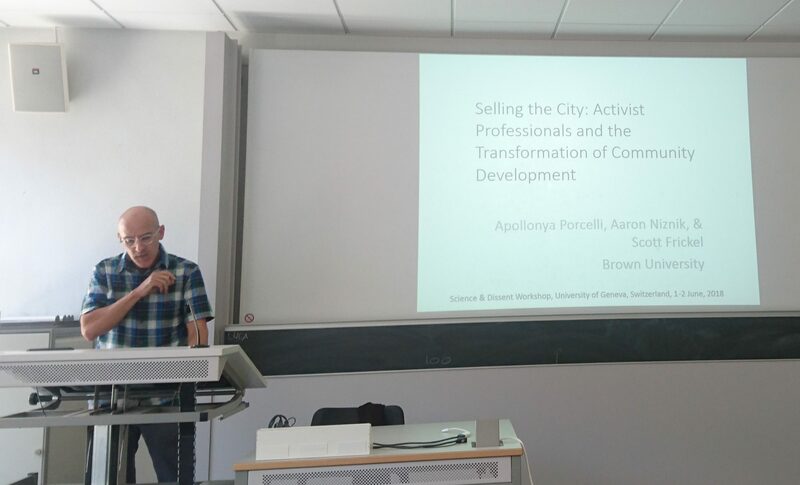 Selling the City: Activist Professionals and the Transformation of Community Development (Apollonya Porcelli, Aaron Niznik, Scott Frickel | Brown University, United States) the work is ongoing – interested in how social movement mobilise experts, and how experts organise themselves in relation to movements. Based on 2 years of developing a database of experts activists – professional who are engaged in 134 organisations in civil society in the Boston area, people who are expert which mean that they have postgraduate degrees, with details of this 700 people and 51 interviews. In the late 1960s, there was a movement to deal with developments in the Boston area. Boston have a large inequality so despite the work on public claims to the city – people before highways. The role of the experts in grassroots organisation changed over time, an analysis that identifies threats to communities – the 1950s- 60s it was government urban renewal and then 1980s it was market-led redevelopment. In the 50s and 60s, activists became social scientists as a result of their action and it was a way to maintain activist connections. With neo-liberalism, there was a change and that rely on technical expertise in law, planning. 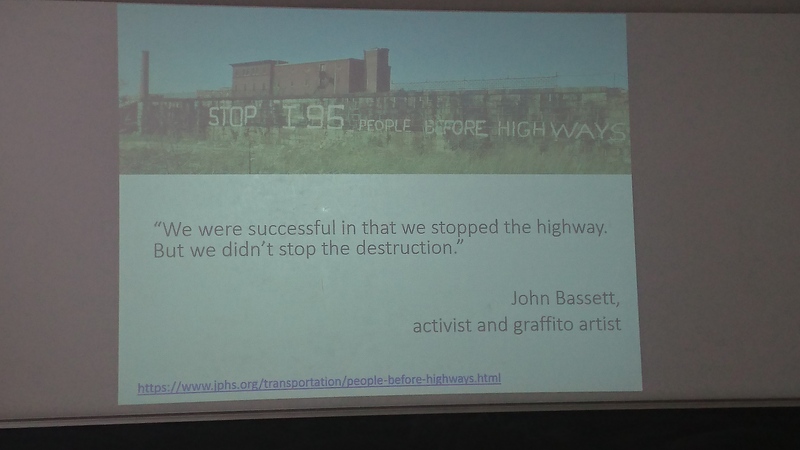 In the 1950s-1970s there was government-led renewal and attempt to push out marginalised communities of colour and with the beginning of this effort, the movement of people before highways emerge. Community Development Corporation proliferated – they are community led activities that are focusing on neighbourhood renewals and they were a way to connect communities and government. Grassroots politicised researchers – e.g. MIT urban studies provided a way to learn, maintain links to CDC and continue to use their expertise. Local universities (e.g. MIT) provided mobilising context and Mel King is an example of activists that became state representative and an adjunct professor at MIT. Boston is a concentration of a lot of academic institutions, and programmes such as Community fellows, Urban planning aids, and DUSP in MIT produce 24 MSc and PhD on CDCs in Boston. The defunding of cities housing led to differentiation of the housing sector. The Community Development organisations were forced to move to the private sector, the link to universities – the cultivation of policy administration, funded research centres, and financing housing. Business and law now dominate the scope of experts. Lots of different things happening and different disciplines are involved, different cohorts of activities – social science and social work gave way to law and finance. Seeing generational changes in what community development is about – the technical expertise reduce the social justice mission of underlying political, ideological motivation that use to be there. There is even a view that CDCs are actually now developers. Neoliberalism opened up opportunity to expert activism on environmental health, which used to be the CDC role, and left open.